Check whether your wordpress installation have correct file and folder permission for proper functioning. Improper file permission may lead to file upload error, site update error etc. and it may also lead to security threats also. 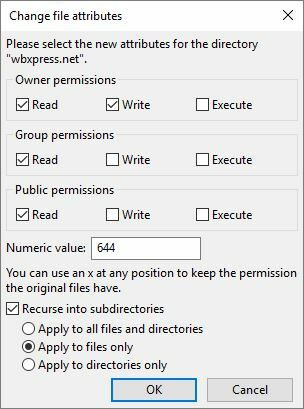 Let’s assume you have installed WordPress in /var/www/wbxpress, then you need to execute the following commands. Don’t worry these commands are applicable for both the web servers apache or nginx. 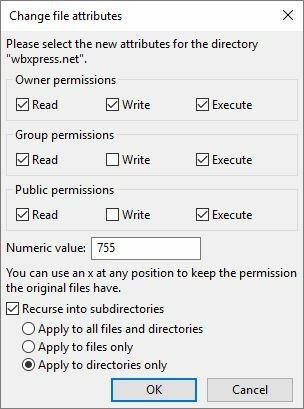 You can set file and folder permission from FTP also.